It all began with a rock fence line and broken dishes. At about the age of 10, I became fascinated by each broken piece, and longed to recreate their beauty piece by piece, like an artist recreating a lost treasure. Were all the pieces there? If not, could I possibly find them? Finding beauty in the rock fence lines, through broken and unmatched pieces was my pastime, while growing up on my parent’s dairy farm in rural Amherst Junction, Wisconsin, with my three siblings. This ultimately became the vision for Mile-A-Way Dinnerware, Antiques & Collectibles: creating treasured family memories from high-quality new, used, current, discontinued, and antique pieces. Mile-A-Way’s journey officially began in 1995, in Cadott, Wisconsin with tube radios. These were so cool, but I soon realized that they were difficult to find. When supply stayed low, I began to look for a different product that matched my passion. What caught my eye? A familiar favorite - fine dinnerware! There were countless unique and different patterns to choose from, and each one was so beautiful! While raising four children, and working full-time as an Engineering Technician for a local computer manufacturing company in Chippewa Falls, Wisconsin, I also worked part-time at auctions, and then in photography, building my hobby business. Auctions were fascinating! I helped and attended as many sales as possible, while also shopping at garage sales and thrift stores to build a robust inventory. As my inventory grew, I began to look beyond online sales, becoming a consignor at a local antique store. I knew from this early experience that this business would be my niche. I continued learning, built a shop on eBay, my own website, and began to consign and sell online for myself, friends and family. By 2010, visions of retirement were getting closer, and it was time to advance my business, and finish putting the pieces together from those early rock fence lines. In 2014, I was able to purchase a very large high-quality inventory from a trusted friend who had been collecting dinnerware and glassware for over 35 years! This additional inventory resulted in the addition of a pole shed on my property, and soon became the home for my entire inventory. Now, with a robust inventory, website, and solid product knowledge, I was ready for a successful online business. In 2016, I retired from my 25-year career, and began pursuing my true passion, Mile-A-Way Dinnerware, Antiques & Collectibles. 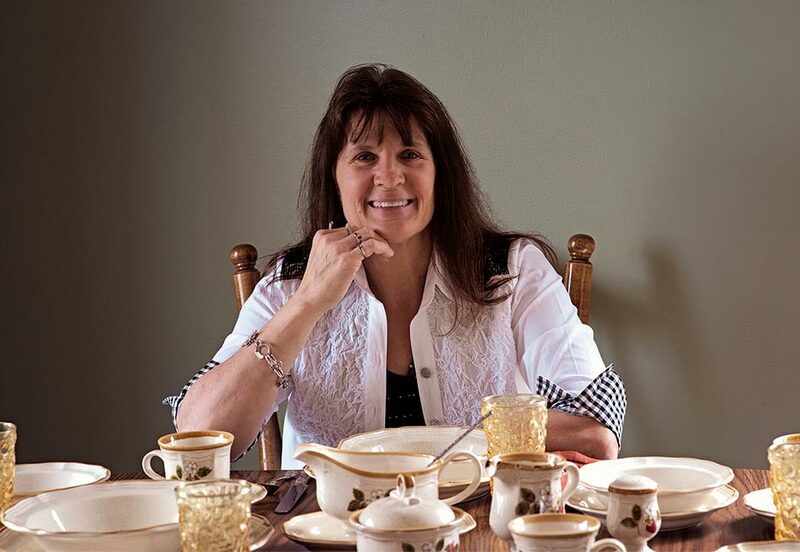 My vision for the business is to become a preferred online shop for fine dinnerware, crystal, and collectibles across the nation and beyond, connecting great products to those seeking a very special piece or set, at a great value. We are already known for our excellent service and product quality, with an assortment that rivals some of the largest companies in the industry. If you’ve arrived here for the first time, thank you for learning about our story. Simple roots and simple beauty helps us connect great people with items that make them happy. Let us help make your treasures complete.